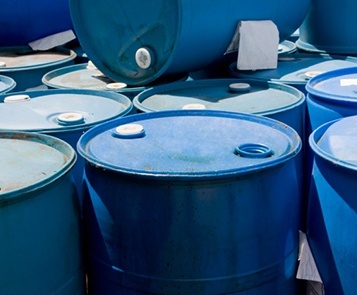 Triumvirate Environmental manages, transports, and disposes of drum and bulk hazardous and non-hazardous waste streams. Using a proprietary cloud-based software (ADVISETM), clients can quickly profile waste and schedule pickups. As an industrial waste disposal company, Triumvirate will evaluate your bulk waste situation and recommend transportation and disposal methods that best fit your needs.